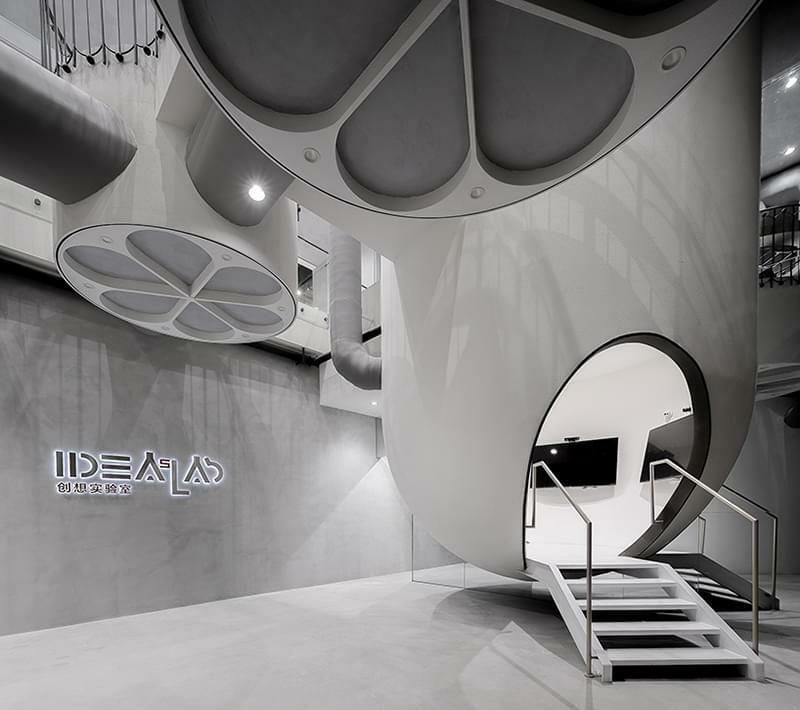 The Ideas Lab in Shanghai, China, is yet another bold project by architect-designer Li Xiang, founder of X+Living. Her team for this project included Fan Chen, Yan Xiafei and Chen Xue. 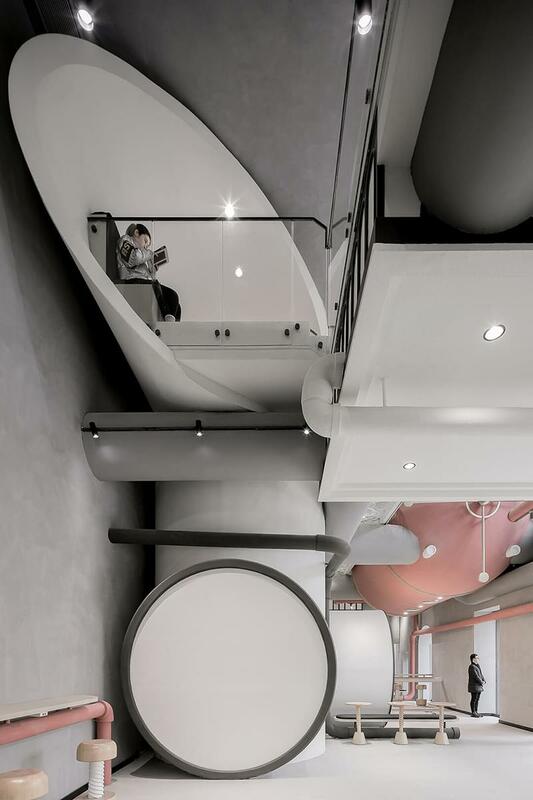 The 1,100 square-metre (11,840 sq. ft) completely reconfigured space includes retail, research and office space for the massive Powerlong Group whose business interests cover, for example, real estate, hospitality, tourism, culture, arts, industry and information. 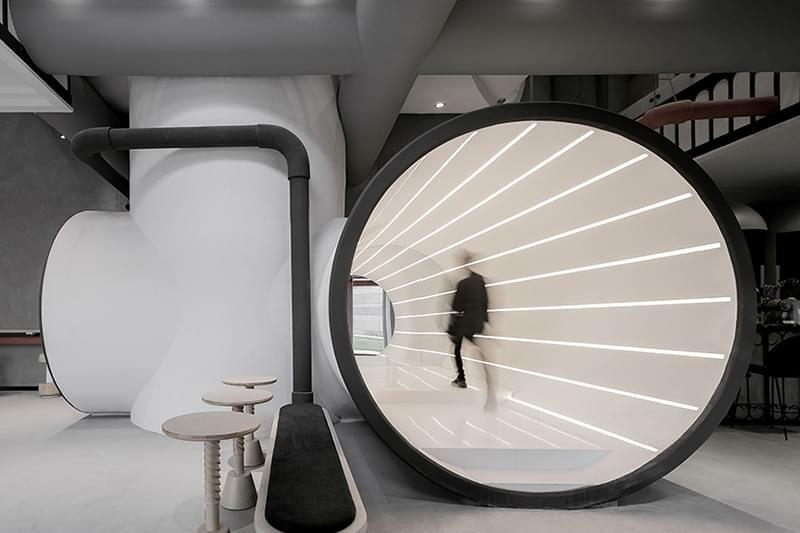 The aim was to create a space where the company’s researchers, office staff and retail customers could connect with each other and develop and experience information technology of the future. 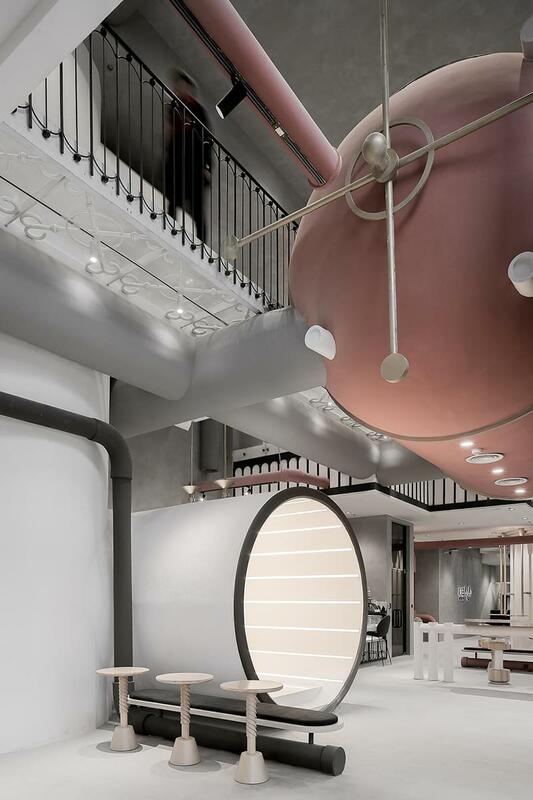 The overall design theme is a fusion of the Industrial Age and the Age of Technology with a few ornate gothic visual elements added on for interest. 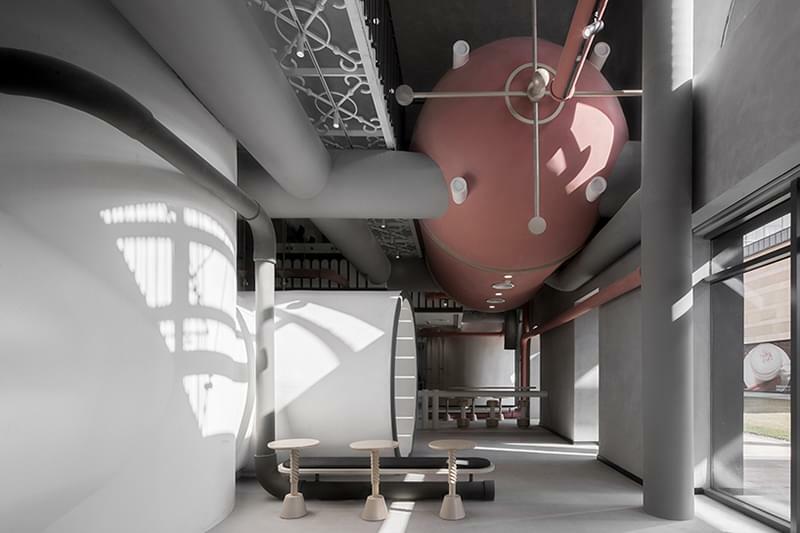 The designers used the visual and material language of the typical components of factory environments: elevated metal walkways, massive tanks, utility pipes. 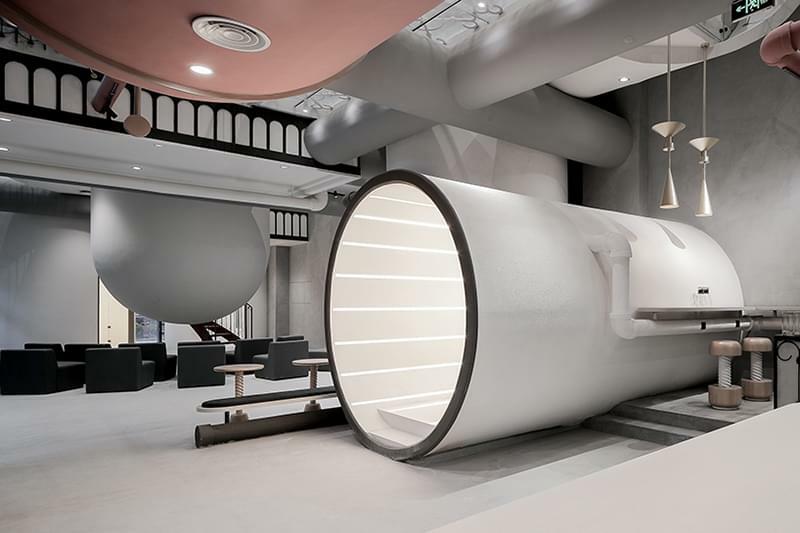 The walkways function as walkways and staircases, the tanks become spaces for various technology experiences and experiments for customers, and the piping hides air conditioning, electrical wires and cables. 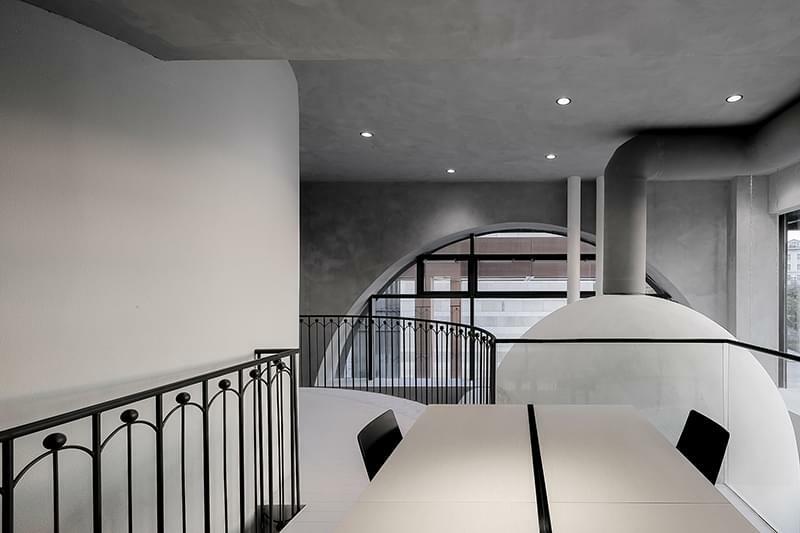 The rounded form of the tanks is echoed throughout the double-height space in arched windows and doorways, in the curving staircases and in the rounded shapes of seating. 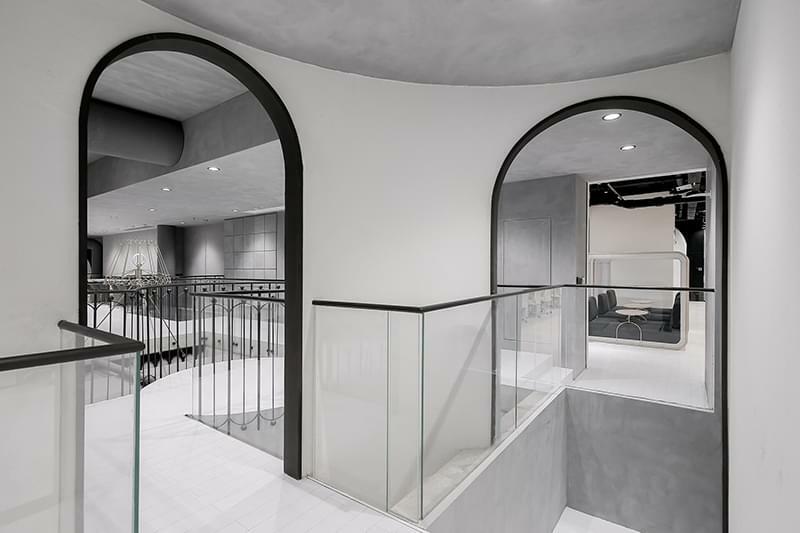 Pipes and metal fittings are also used throughout the space. 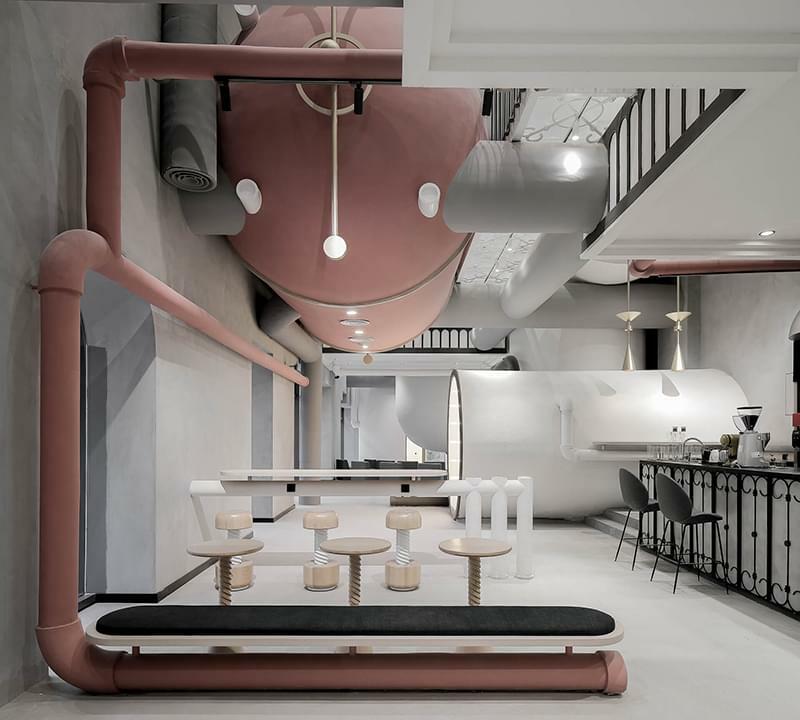 The double-height space echoes the heavy-duty efficiency of vast, hard-working factories, yet the softly rounded shapes and the overall white tone with touches of muted pink create a friendly and playful atmosphere. 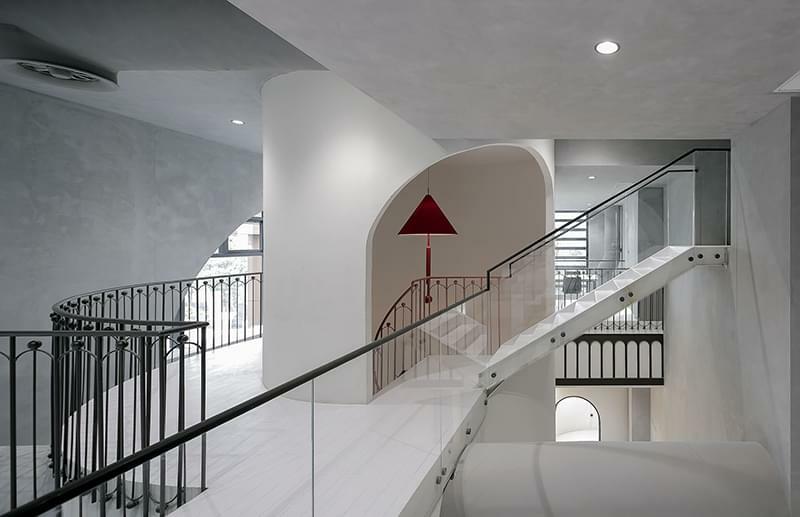 The upper level functions as an office and the lower level includes common areas and retail but the open concept allows everyone to be visually connected.